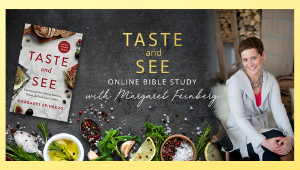 Welcome to the Online Bible Study with Margaret Feinberg! Welcome toTaste and See Online Bible Study at Study Gateway! You will want to come back to this page each week as each video session becomes available starting January 21. You can go ahead and start watching session one right away, and the session two video will be available January 28. 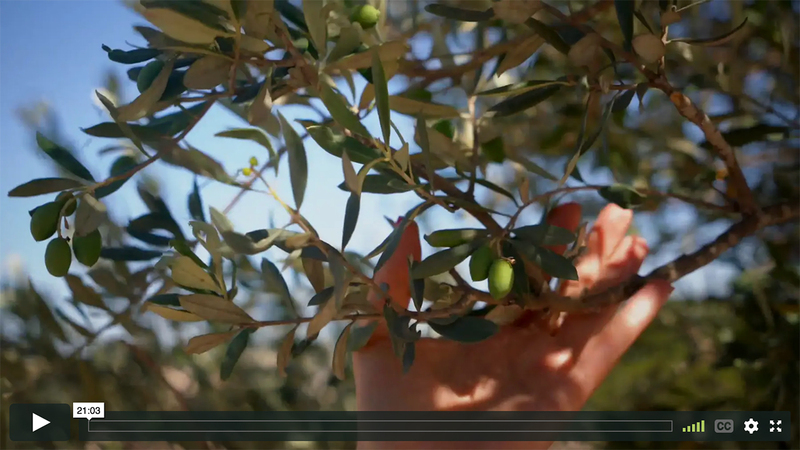 You’re invited on a delectable pilgrimage to discover the secret to savoring every day. 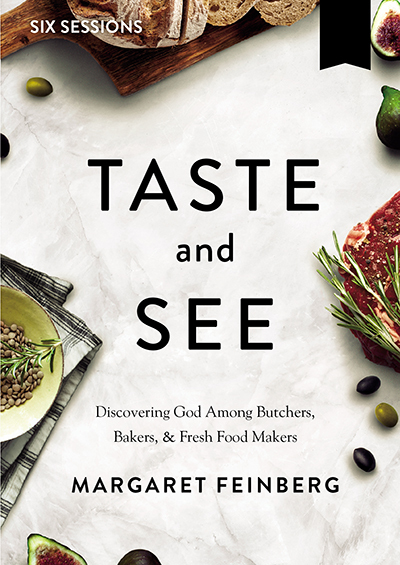 The Psalmist declared, "Taste and see that the Lord is good" (Ps 34:8), so Margaret Feinberg, one of America's most beloved Bible teachers, decided to take the invitation literally. 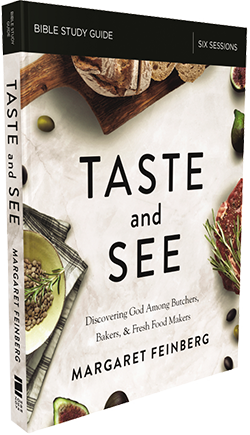 She embarked on a global culinary and spiritual adventure descending 410 feet into a salt mine, baking fresh matzo at Yale University, harvesting olives off the Croatian coast, and tasting succulent figs at a premier farm—all to discover the truth in such a simple verse. With each person she encountered, she asked, "How do you read the Scripture in light of what you do every day?" Their answers will change the way you read the Bible forever… and the way you approach every meal. "This is a journey that changed my life, my faith, my future," she writes. "It moved me from fear and uncertainty to discover a renewed, vibrant faith again—and I believe it will do the same for you." Overcome awkwardness and nurture deeper connections around any table. Rise above uncertainty knowing what's divinely planted to carry you through. Learn how you were uniquely created to help others flourish. Unlock the satisfying and fruitful life you've been created for. 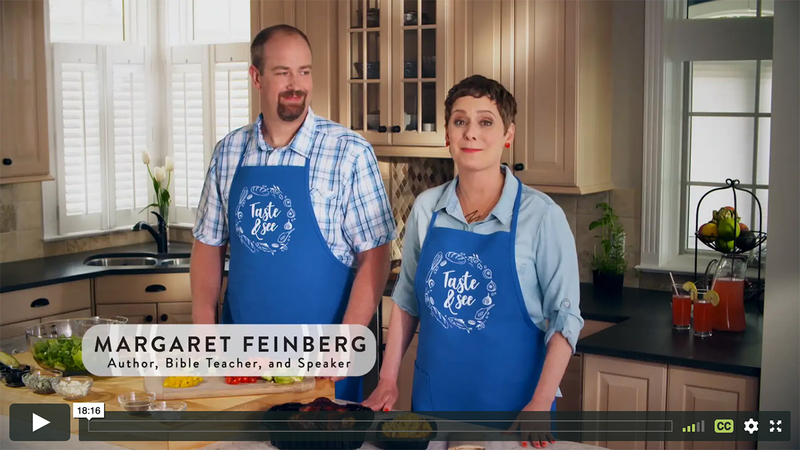 Join Margaret in this deeply nourishing six-week video Bible study sprinkled with delicious recipes and tangible insights. After all, it's at the table where we learn to taste and see the goodness of God. Come back January 21st for the celebration! 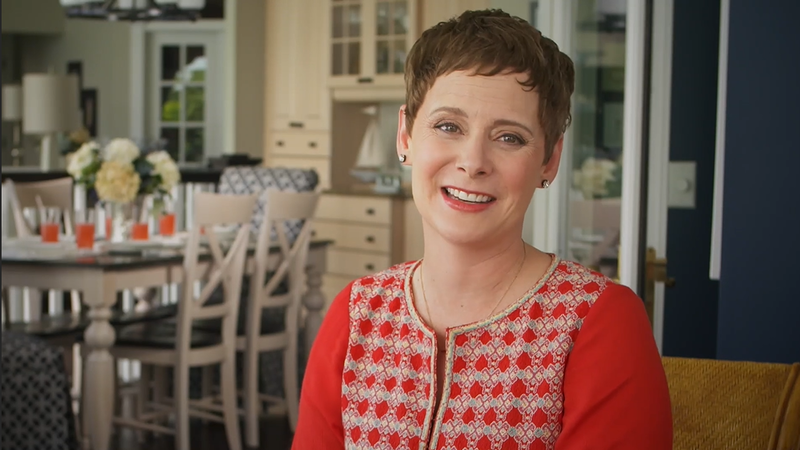 We're kicking off the study with an exclusive video interview with Margaret. Watch Session One from January 21-27 to stay on schedule. Watch Session Two from January 28-February 3 to stay on schedule. Watch Session Three from February 4-10 to stay on schedule. Watch Session Four from February 11-17 to stay on schedule. Watch Session Five from February 18-24 to stay on schedule. Watch Session Six from February 25-March 3 to stay on schedule. Are you receiving the weekly email updates for the study? Sign up today (no matter when you plan to start).